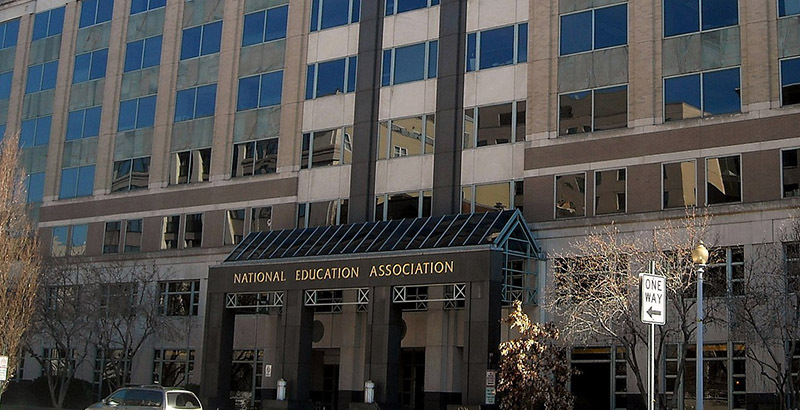 Faced with the loss of hundreds of thousands of members due to the U.S. Supreme Court’s Janus ruling, the National Education Association sought to throw open membership to the general public, only to see the measure fail to achieve the necessary two-thirds majority at the union’s representative assembly, held over the July 4th holiday. Similar proposals have been presented three times in the previous 12 years and failed to pass each time. The stated purpose of the amendment was to allow NEA to communicate on political topics to a wider audience than just public employees, and solicit political action committee donations from them. By law, unions can collect PAC contributions only from members and their immediate families. Debate centered on the increased flow of funds to the PAC war chest versus the risk of allowing outsiders to become NEA members. Despite leadership’s protestations to the contrary, many delegates were fearful that someone like Bill Gates could join NEA and influence the direction of the union. Ultimately the proposal received the support of 62 percent of the delegates, leaving it within striking distance for another attempt. NEA quickly announced it would resubmit the idea at next year’s assembly. Chris Cerf: When Support Is No Longer Mandated, It Must Be Earned. How Will the Unions Rise to That Challenge Under Janus? Depending on the extent of membership losses, there may be substantially fewer delegates next year. Attendance at this year’s assembly was at the lowest level in at least the past 21 years. In other actions, the delegates approved the creation of a national strike fund to be supported by voluntary member donations. The delegates rejected a measure that would have given them the sole authority to endorse candidates for president of the United States.